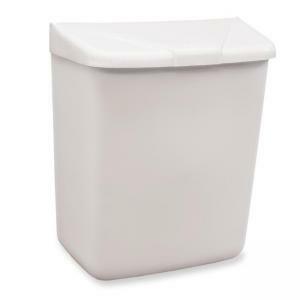 Convertible Feminine Hygiene Waste Receptacle can be placed on the floor or mounted to a wall. Hinged lid stays open for disposals. Closes tightly.